8th Circuit Weighs in on Minnesota ADA Public Accommodation Case - Trepanier MacGillis Battina P.A. The Eighth Circuit Court of Appeals, in Hillesheim v. Holiday Stationstores, Inc., —F.3d —, 2018 WL 4302035 (September 10, 2018), vacated the dismissal of a lawsuit alleging disability discrimination in a place of public accommodation under the Americans with Disabilities Act (ADA) and the Minnesota Human Rights Act (MHRA) and remanded the case back the U.S. District Court for the District of Minnesota. The decision is instructive for defendants facing similar public accommodation lawsuits, sometimes referred to as “drive-by lawsuits,” which are often aimed at restaurants and other small businesses. These types of cases have proliferated in Minnesota over the past decade, despite one well-known Minnesota public accommodation plaintiff’s attorney losing his law license and pleading guilty to unrelated criminal charges. Hillsheim, a frequent plaintiff in these types of cases, sued Holiday Stores in Minnesota state court for failure to provide a compliant and accessible parking space. Holiday removed the action to federal court. It then fixed the parking lot and moved for summary judgment arguing that the claim seeking an injunction under state and federal law was moot. The district court granted Holiday’s motion and dismissed the case with prejudice. Hillsheim appealed, arguing first that Holiday failed to timely disclose a witness and photographs of the parking lot repair that it relied on in its motion for summary judgment as part of its Rule 26 disclosures. The appellate court affirmed the lower court’s ruling on this issue finding that the lack of disclosure was “harmless” because Hillsheim had submitted similar photographs and could not explain why timely disclosure would have changed the outcome. Technical aspects of federal jurisdiction may not concern a business owner facing a similar lawsuit. Other aspects of the ruling may be enlightening, however. Federal law under Title III of the ADA allows a plaintiff to seek injunctive relief and attorney’s fees, but does not allow for actual damages. 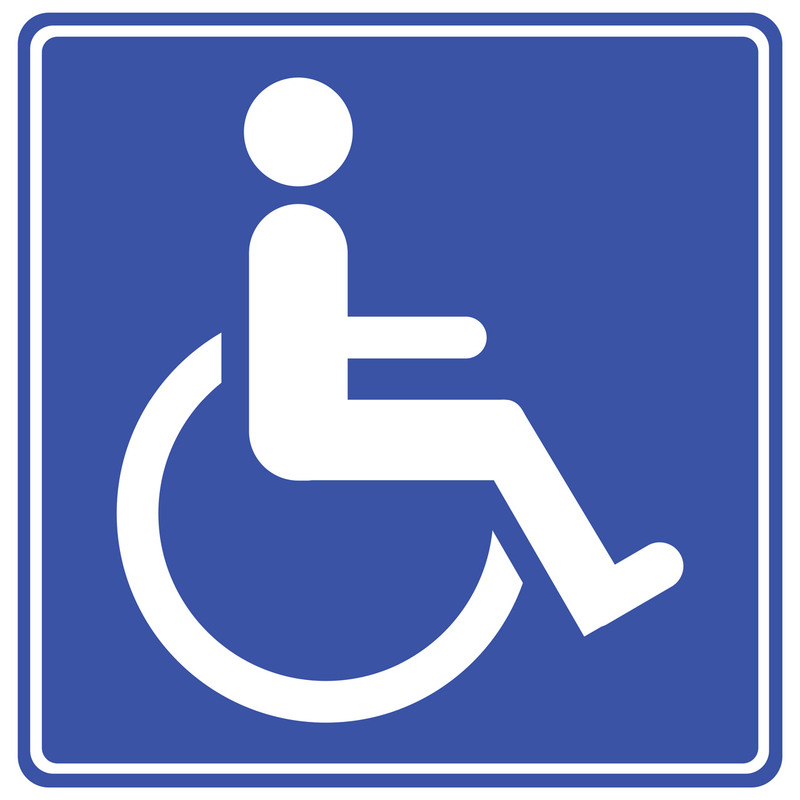 Where a defendant fixes an alleged barrier to accessibility and shows the court that a claim for injunctive relief under the ADA is moot, the Hillsheim decision suggests that the plaintiff is not entitled to recover his attorney’s fees. The Court did not directly address this issue but the result in Hillsheim endorses a potential strategy for defendants who may prefer to fix the alleged barrier and then pay for their attorneys to file for summary judgment on an ADA claim rather than settle with the plaintiff for a nominal amount, even if the settlement would cost less. The Hillsheim decision also reaffirms, however, that plaintiffs in these cases can seek monetary damages under Minnesota state law, which frustrates the goal of defendants in this type of litigation to secure rapid dismissal. The Minnesota legislature attempted to address the practice of “drive-by” public accommodation lawsuits under state law when it amended the MHRA in 2016 to require pre-suit notice of an accessibility issue to allow defendants to remedy the issue before litigation. The defendant in Hillsheim raised this defense on appeal, but the Eighth Circuit refused to consider it, because Holiday prevailed at the court below and was not allowed to file a cross-appeal. We therefore have yet to see if the Eighth Circuit will enforce the requirements of the MHRA amendment in such a way that it becomes an effective means of addressing the concerns of small businesses regarding drive-by public accommodation lawsuits. Assuming the MHRA amendment does create a barrier to litigation, the Hillsheim decision suggests that defendants who do not want to pay a nominal settlement pursue to two-pronged strategy in defense of these types of cases: assert the lack of pre-suit notice to defeat the state law claim and then repair and move for summary judgment on the mootness issue to defeat the federal claim. Removal of these cases to federal court, a popular tactic for defense attorneys, may be a waste of time as both defenses can be asserted in state court. If you have questions about ADA public accommodation cases or are involved in a lawsuit regarding this type of claim, contact one of the Minnesota litigation attorneys of Trepanier MacGillis Battina P.A. Minnesota ADA attorney V. John Ella has extensive experience representing defendants in ADA public accommodation cases. If you have any questions about ADA or MDHR discrimination claims, please contact him at 612.455.6237 or jella@trepanierlaw.com. Trepanier MacGillis Battina P.A. is a Minnesota business and litigation law firm located in Minneapolis, Minnesota.